Can Power Lines Over The Water Be A Safety Hazard? Home » Can Power Lines Over The Water Be A Safety Hazard? A pair of harbormaster boats were the first to arrive on the scene when a small boat’s mast struck high-tension power lines over the Weweantic River in Massachusetts last month. There were only two people onboard, and both escaped injury. “It’s short of a miracle that nothing happened to them,” said Harbormaster Garry Buckminster, who went on to say that accidents like this are rare, since power lines are plainly marked on navigational charts. “We’ve never had a boat strike those power lines before,” he added. Buckminster theorized that the boat likely struck power lines further upriver, but then drifted down to the place where it finally became fully engulfed. Eyewitnesses were alerted by thick black smoke rising from the burning craft. Several townspeople, including customers in a neighboring bar, reported a brief power outage and flickering lights right around the time the accident occurred. Land-based firefighters watched from a nearby bridge as harbormaster crews and a fire department boat extinguished the fire. The Coast Guard also got involved, as did boats from other local harbormaster departments. Buckminster said that the cooperation between various agencies was instrumental in keeping the situation under control. The boat, a trimaran, had a small outboard motor and a gas can onboard, and the hull was made of fiberglass, which is extremely flammable. 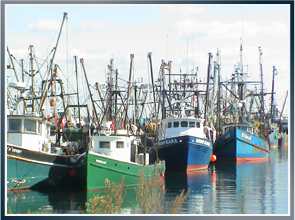 If you have been injured in a boating accident, our nationwide maritime attorneys can help you. We have extensive knowledge of the Jones Act and other important maritime laws that can help you get compensation to support your family and pay medical bills after an accident. Call our office today to schedule a free consultation. Latti & Anderson’s Little Extra: A fireboat is designed specifically to fight shipboard fires, with an unlimited supply of water pumped directly from below the hull. Previous Could Improved Training Help Lower Accident Rates?